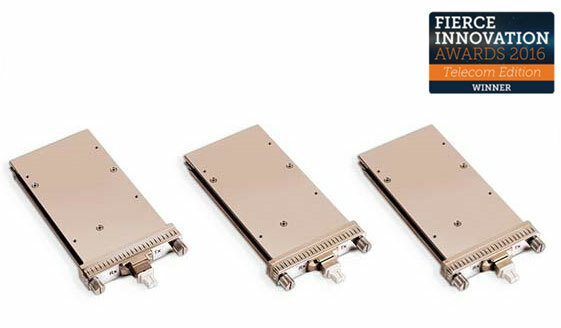 Our award winning CFP-DCO product family supports 100 Gbps transmission speeds in an industry-standard, pluggable CFP form factor, which is optimized for power sensitive applications. With a rich feature set, our coherent CFP modules enable cost effective system architectures. The integration of power saving DSP technology and silicon photonic integrated circuit (PIC) technologies has allowed Acacia to optimize the balance of power and performance. Widely adopted in metro carrier and Cloud/DCI applications, our coherent CFP modules support a range of applications from 80km client interfaces up to 2,500km DWDM links. Various features can also be configured to optimize the power dissipation for any given application.